The 2014 OnlineShoes.com print catalog was created as the holiday promotional piece. 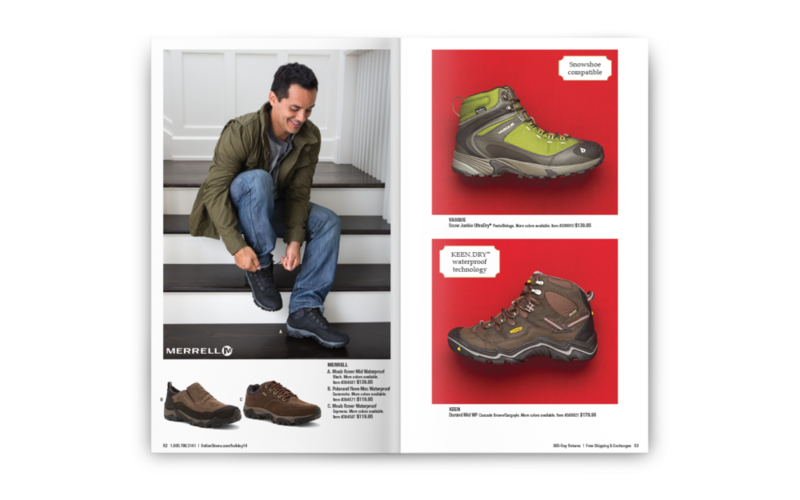 The 55 page catalog was inserted into over 5,000 boxes or mailed directly to OnlineShoes.com customers. For this project I was on set and helped with the photo shoot, designed the catalog cover to cover, and assisted in art directing the catalog. The holiday catalog was the first customer facing asset to utilize the new branding and direction of OnlineShoes.com.